It is always comfortable to go and walk in a park or in a garden in Paris during the summer or spring to share a picnic. Here is a list of good addresses of best places to picnic in Paris. – Roger-Stéphane square in the 7th arrondissement of Paris near the Bon Marché. It is located between Haussmann buildings. – The square Saint-Gilles du Grand Meneur in the 3rd arrondissement. You can find it between the rue de Turenne and the boulevard Beaumarchais. You can picnic on the grass or on one of stone benches. – The square Colbert in the 11th arrondissement is at 159, rue de Charonne. It offers its lawns for a picnic. You will also find gardeners and ping-pong tables for people who want to play. – Martin Nadeau square in the 20th arrondissement is a place where you can sneak through grass beds and eat a snack. – The floating garden Nikki-de-Saint-Phalle in the 7th arrondissement. It is located on the banks of the Seine and is not far from the Port of Gros-Caillou. You can relax and have lunch on wooden deckchairs just like at the beach. 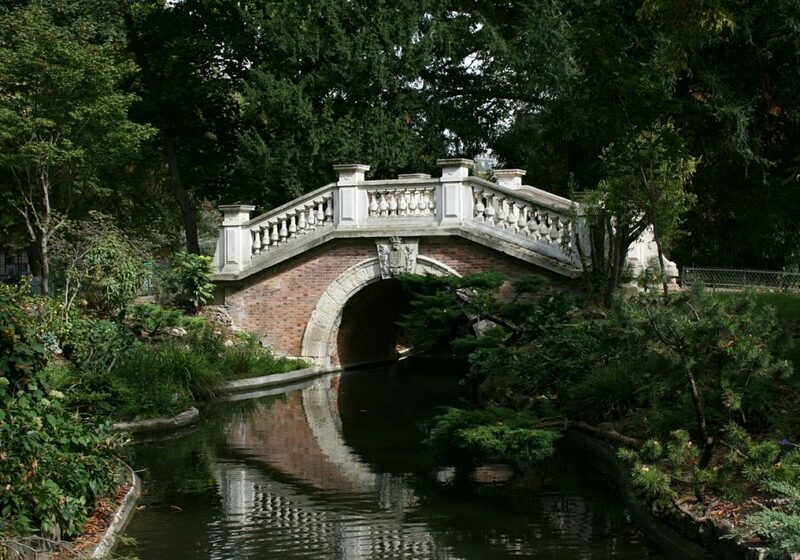 – The garden of New France in the 7th arrondissement. You will discover its romantic bridges and sculptures. It offers an English decor: perfect for dining. – The Parc Monceau in the 8th arrondissement welcomes you with its lawns and marble statues which represent writers and musicians. The park is surrounded by luxurious buildings and is ideal for family picnics. – The Parc Montsouris in the 13th arrondissement is very green during the summer. It is huge and you can stroll around the lake or run and rest on one of the many lawns. – The Parc des Buttes-Chaumont in the 19th arrondissement, as well as the Parc Montsouris is high. It offers many places to walk, run or have a picnic. – Next to the Cathedral Notre-Dame de Paris in the 5th arrondissement. You can join many tourists to enjoy a sandwich or enjoy the view. – On a bench in front of the Saint Sulpice Fountain in the 6th arrondissement. You will relax by hearing the sound of the watter and will enjoy the view with its huge pool. Visit the hostel Aloha for more information and to have some more good addresses.